I was in two minds about inviting my colleagues to our wedding, but when I returned to work this year after the December holidays, the countdown to my wedding was mentioned on my first day back : it was unavoidable. It wasn’t a case of not wanting them there – ours is a small, intimate wedding, and work colleagues are going to make up a third of our guests, and not having spent any time together outside of work I was worried about it being a little awkward or uncomfortable – them seeing me on such an intimately personal day. But, that decision has been made and they will see me in all my intimate and personal glory. However, the decision of the kitchen tea now has to be faced. After a quick poll on Twitter last night, the votes were split between inviting female colleagues to it, and not. Quickly summarising the cases : those for inviting them said that if they were “good” enough to be invited to the wedding, then there should be no reason not to invite them to a kitchen tea. Those against argued that a kitchen tea should only be for the closest friends and family, and not necessarily for all female wedding guests. I see both sides, and am still undecided. 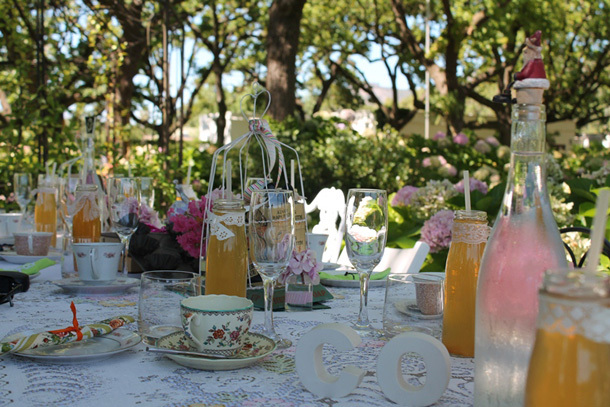 For married / engaged ladies – who have you invited to your kitchen tea? Is it incredibly selfish to have the thought of more guests = more presents pushing me to the side of inviting them?